Hi everyone! As a reminder, if you don't remember me or are a new reader here at IndyBride2B, I collaborated with this website last year for their first ever Bridal Spotlight series to share all the details of my wedding planning process (I shared even more in a wedding series on my blog too). I've come back to share an update on how our first year of marriage has been and my thoughts on weddings now that I've had one of my own. To be honest, I was never into weddings as a kid. I knew I wanted to have one of my own one day, but I wasn't thrilled to be a guest at them or be part of the process. It wasn't until I fell in love that weddings became something so much more beautiful and meaningful to me, finally being able to apply them to my own life. Now that I've had one of my own, I'd seriously go to one every weekend if I could. Really, I would. I love the idea of families coming together to celebrate something so happy, and seeing how the couple customizes the entire event to their personal taste, from the gown to the bridesmaid dresses, suit color, flowers, cake... you name it. I can't get enough. My biggest piece of advice to those getting married is to not rush the process. You only get to plan one wedding for yourself (hopefully) in your entire life, so don't breeze over all the fun of it just because you're excited to get married ASAP. Enjoy every single second of it, regardless of if your wedding is a huge event or something small and private. 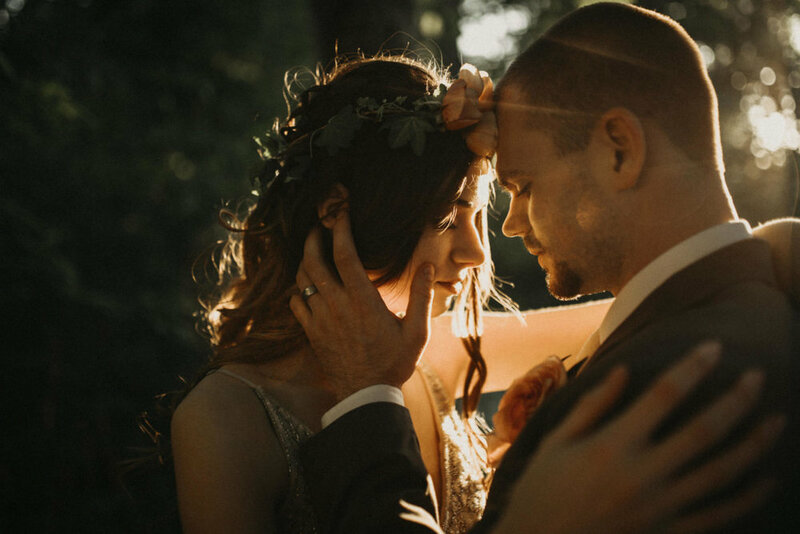 Though I wouldn't change a single thing about my wedding day and the planning process, I'd love to go back and relive it again and again because it was that amazing. So slow down, and appreciate every second of it. Onward to married life — we're both so happy. This past year has been unique to all the others we've experienced together in many ways. We've had some amazing experiences and hurdles (health, job changes, etc.) that come along with life, naturally. In my eyes, the biggest standout event during this first year for us as husband and wife has been house hunting. We started a few months ago and it's been a total rollercoaster. We've learned to support each other even more during the good times and the bad, further fine-tune our decision-making skills as a unit, and a whole new level of resiliency. To catch up on all of this, you can read my house hunting series on my blog here. Happy planning to those anxiously waiting for their wedding day to come — take it all in and cherish it!